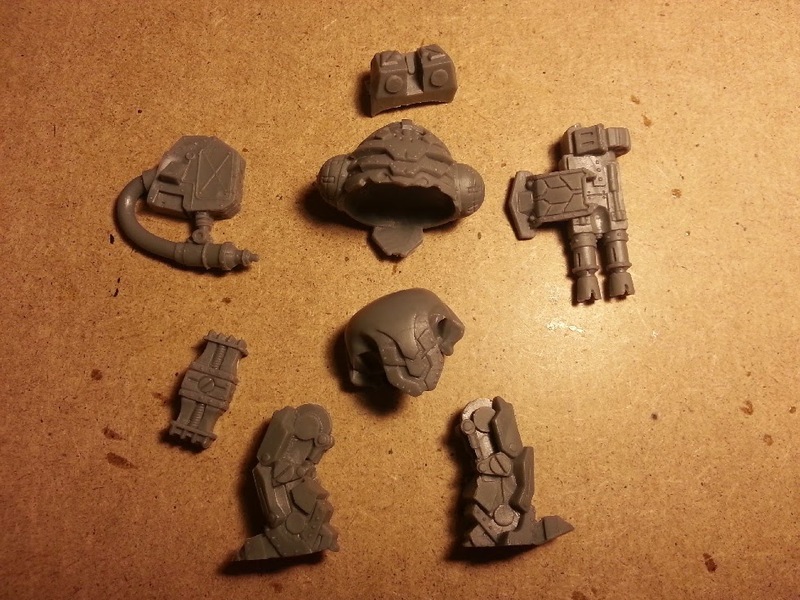 The box contains one Iron Ancestor with Heat Hammer and Hailstorm cannon (the old model) and the pieces to add the weapons and a backpack in order to make the new "Urban Patter" Iron ancestor for Deadzone. 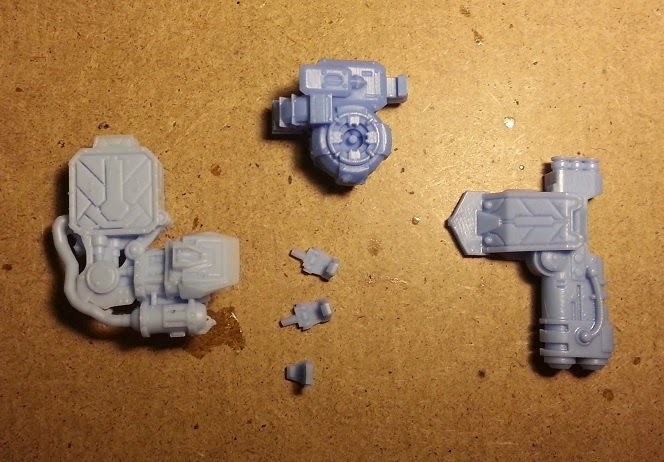 The extra weapons are made of a different material, it seems like the same resin used for the orx Stuntbot. The model came with a mdf base like the other models that mantic recently did.